Starring Darshan Jariwala and Lillete Dubey, the series will be premiered on August 30. 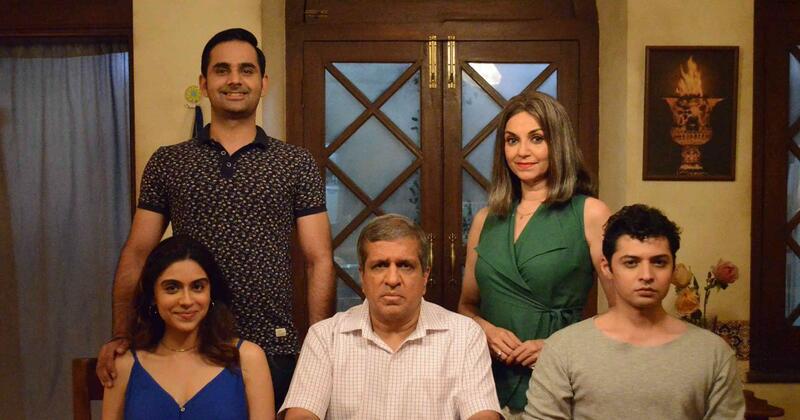 Why is a comedy about a dysfunctional family named after a Parsi style of making scrambled eggs? That’s because its members are as disparate and jumbled as the ingredients of this spicy dish, explained the cast of the upcoming ZEE5 series Akoori during at a recent visit to the sets at Mumbai’s Madh Island. The show will be released on the streaming platform on August 30. Starring Darshan Jariwala and Lillete Dubey, Akoori follows an Irani Zorastrian whose squabbling members are forced to live under the same roof after a tragedy. The ensemble cast includes Shadab Kamal, Zoa Morani, Sohrab Sunny, Adi Irani and Harsh Nagar. Jariwala’s Dara is the foul-mouthed patriarch of the Irani family. When his wife goes into a coma, his estranged children land up at a lodge he runs in Udvada in Gujarat. Even as he’s waiting for his wife to recover, Dara also seems besotted by Dubey’s Rita. The cantankerous Dara seems to be a far cry from Jariwala, who, in between takes, was busy making cast members laugh. Dressed in a crisp blazer, Jariwala said that the unpleasantness of his character made his job as an actor interesting. Jariwala cited Vijaya Mehta’s Naseerudin Shah-starrer Pestonjee (1988) an exception. “In fact, it was one of the earliest attempts to go into the psyche of what a closed communities the Parsis are and how they relate to the world,” he said.